Been missing Dhinchak Pooja? Well, not any more because the selfie-loving, swag topi-wearing singer is back. No, no not with another song but as a contestant on TV reality show Bigg Boss 11. Yes, this is not a troll. Internet sensation Dhinchak Pooja (Pooja Jain) is all set to make a wild card entry on Bigg Boss, which is in its 11th season and is hosted by actor Salman Khan. Of entering the Bigg Boss house, Pooja told Hindustan Times: "When I got my first call from Bigg Boss, I was busy working on my next song so I had to decline it. But now that my song is ready and they have approached me for the show again, I decided to take it up. Though I didn't get the opportunity to follow the show much given my busy work schedule, whatever little I have watched I completely enjoyed it." Dhinchak Pooja, who gained immense popularity with her song Selfie Maine Le Li Aaj, also shared why she agreed to be on Bigg Boss. "The show is a huge hit and I want be a part of it to gain experience. I don't have any strategy in mind that how I am going to be once I am in. I just want to be myself and deal with situations and issues as they come," Hindustan Times quoted Dhinchak Pooja as saying. Dhinchak Pooja also revealed that she's a huge fan of Salman Khan and is looking forward to meet him. We also just can't wait to watch Dhinchak Pooja's fangirl moment with our favourite superstar. My family and friends are excited that I am going to meet him. I am totally looking forward to interacting with Salman Khan. The show will help me know him better," Pooja said. Pooja, who is also looking forward to release her new song, talked about her dreams and aspirations in life. She said, "I have acting and singing dreams. So if good offers come my way then I am ready to them up." Of her upcoming song, she said, "It's a song that is being inspired from a current trend, I can't say anything more right now. 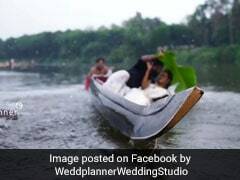 I am looking forward to how people react to the song," reports Hindustan Times. 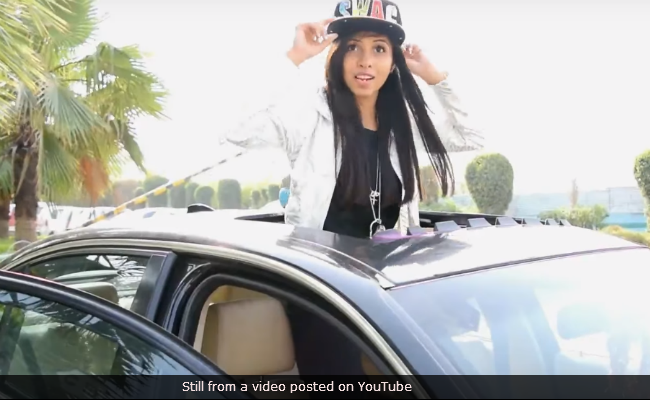 Dhinchak Pooja became an Internet sensation with her creative songs like Selfie Maine Le Li Aaj, Meri Swag Wali Topi and Dilon Ka Shooter. Along with Dhinchak Pooja, Priyank Sharma, who got evicted in the first week of Bigg Boss 11, will also return on the show as a wild card entry. Priyank was asked to leave the house by Salman Khan after he hit a co-contestant rapper Akash Dadlani during a fight. "This season has been explosive from the word go. My journey was incomplete because of an impulse decision. But I'll be going back into the house to make amends with a different outlook and advice from Salman sir. And I'm hoping I come out a winner at the end of this innings," Priyank told Mumbai Mirror. Both Priyank and Dhinchak Pooja are likely to enter the house during the Diwali-special episode. Celeb, non-celeb and padosi contestants like Hina Khan, Hiten Tejwani, Vikas Gupta, Shilpa Shinde, Arshi Khan and others are currently seen on Bigg Boss 11. In yesterday's episode, Hina Khan won the captaincy task and became the second captain of the house. Are you excited to watch Dhinchak Pooja on the show? Tell us in the comment section below.